Dean Kamen is a talented inventor who has expressed his interest in 'tinkering' with objects at a young age; inventing an small, wearable insulin pump for diabetic patients while he was still in college! Following his success, Kamen went on to found a company called DEKA to research and develop new inventions. His company DEKA, has led the development of many successful medical and biomedical products and machines for home and corporate use. For all of his accomplishments and contributions to the world, Dean Kamen received many awards. The most famous of these most famous being the National Medal of Technology in 2000. Following his dream, he founded FIRST, an organization to engage students in Science, Technology, Engineering, and Math (STEM). ​actively engage in the sciences. Dean Kamen founded it to get more children from kindergarten to 12th grade involved in analytical problem solving. 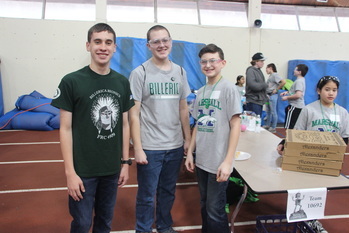 FIRST robotics hosts four different Robotics competition for age groups from kindergarten to the 12th grade. Along with exposing children to robotics, students also learn how to be a team member through FIRST values called "Gracious Professionalism" and "Coopertition." Coopertition means to display kindness and respect in fierce competition. We are involved in the FIRST Robotics Competition (FRC). In the FRC, teams from all over the world have six weeks to research, design and build a 120-pound robot to compete in that year's events. Along the way, we develop engineering, entrepreneurial, and team building skills that'll help us in the future. 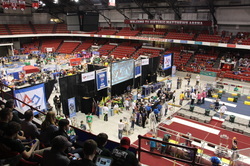 At the competitions, teams from all over the region compete with their robots in the game. FIRST is an amazing opportunity for anyone, no matter what you may want to do for a career in the future. That's why we try our hardest to encourage FIRST and STEM development in our community through mentoring younger FIRST teams and participating in community events. You can learn more about our outreach here.